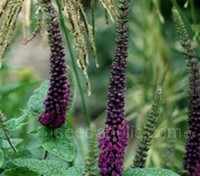 This handsome, durable, showy garden performer is a must for the perennial border. 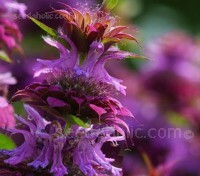 Extremely attractive to butterflies and bees, Monarda 'Lambada' bears long spires of deep pink-mauve flowers and flowers freely in the first year. The spires are great as a fresh cut flower and dry beautifully. 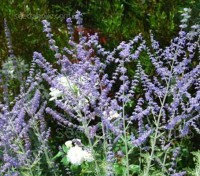 Nepeta faassenii is a dwarf catmint with slender spikes of lavender-blue summer flowers. 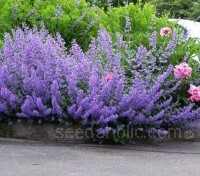 This clump-forming perennial will form open drifts of hazy blue flowers for weeks and makes a lovely informal edging plant for paths and borders. 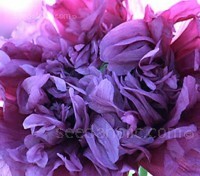 Indescribably elegant, Papaver paeoniflorum 'Lilac Pompom' blooms with lush frilled, dark pink-violet, often palm-sized blooms. Perfect for gardeners in pursuit of an easy-to-grow flowering plant, they are showstoppers when they're in full bloom. Papaver somniferum ‘Hungarian Blue’ is a stunning new deep violet poppy that will bring rich colour and a touch of sophistication to your planting schemes all summer long. 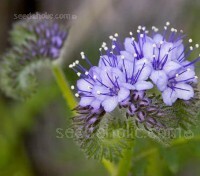 A hardy annual that is very easy to grow, plant it outside in drifts where it will cover a large area with its beautiful blooms. 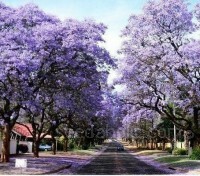 Paulownia puts on an awe inspiring show in spring. 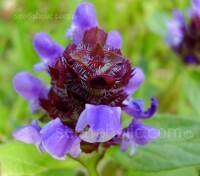 Its soft chamois velvet buds open into large violet to blue, trumpet-like blossoms which fill the air with a sweet fragrance. Huge downy leaves appear after the flowers have opened. They are an architectural delight. 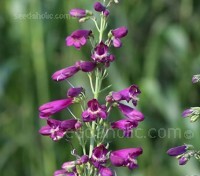 A winner of both an AAS and Fleuroselect Awards, Penstemon ‘Twizzle Purple' is a first year flowering perennial that boasts twice the length of flowering stem. 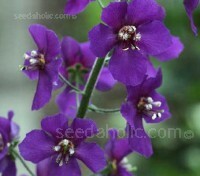 Strong, trouble-free plants produce trumpet shaped magenta-violet blooms that flutter all along tall, slender stems. Russian Sage is one of the great garden plants of all time, but if you've been frustrated by their floppy nature, this new variety will be a welcome addition. Growing to about 60 to 75cm tall, Perovskia atriplicifolia 'Taiga' is also the first Russian sage available as a first year flowering perennial. 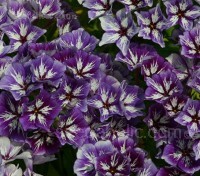 'Sugar Stars' is a fabulous new annual Phlox variety that blooms with a confection of purple-blue and white clustered blooms. One of the most useful of annuals they flower from mid July right through to October. 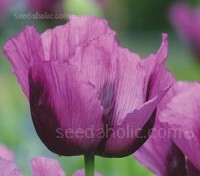 For spectacular display, romantic excess and sweet fragrance, they are without peer. Collected at altitude in Japan and introduced in 2006, Polemonium yezoense 'Purple Rain' is one of the best new introductions in recent years. 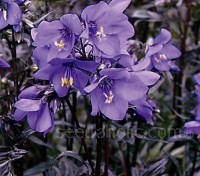 With bronze-purple lacy foliage, dark stems and violet-blue flowers, it is the darkest flower form of Polemonium available. 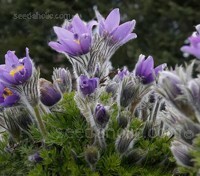 Pulsatilla vulgaris is now a very rare native species, the genus includes some of the loveliest of all flowering plants. In early spring, woolly, flower buds first appear, their silky foliage is deeply divided and covered with soft silvery hairs. The violet-purple flowers often opening while still under snow cover. These plants are always a delight. 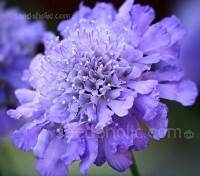 A prodigious bloomer and a tough, hardy garden performer Scabiosa atropurpurea 'Tall Double Purple' grows quickly and is fast to flower. Large purple petals surround a domed, dark centered cushion with contrasting white 'pins'. 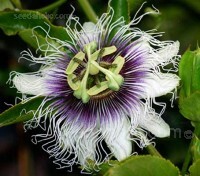 The flowers have a sweet perfume and bloom consistently throughout the growing season, right through to late autumn. 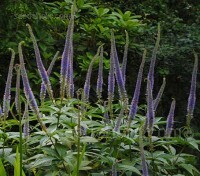 Summer-blooming spiky flowering plants - in garden design parlance ‘the verticals’. We all need some, and there are lots of contenders, but a plant that can go just about anywhere in the garden, cope with almost all situations and bloom with copious plush spikes over several weeks is a very rare treat. 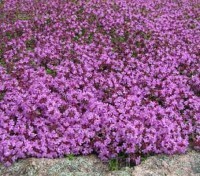 There are very few ground covers that can be walked-on, but creeping thyme is one of them. 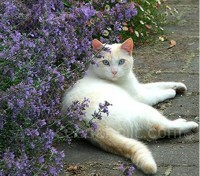 Suitable as a lawn substitute or used between stepping stones, near to patios and walkways. 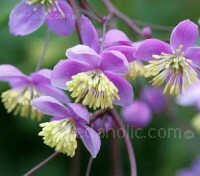 Especially popular used where the plants can cascade over a rockery or wall. Organic Seed. 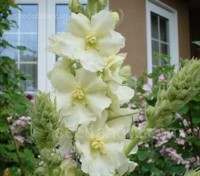 Verbascum ‘Snow Maiden’ is an incredibly beautiful mullein that grow to just 36 to 48cm tall. With masses of soft white flowers each with delicate yellow filaments they flower in June and continue to appear over a long summer, often right through to September. Very easy to grow from seed. 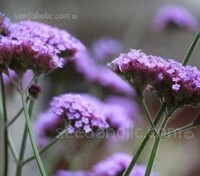 Verbena bonariensis is a very useful plant. The flowers, on tall, slim delicate stalks dance in the wind. 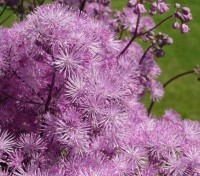 It is a graceful counterpart to larger flowers and invariably compliments the landscape without overwhelming any of it.